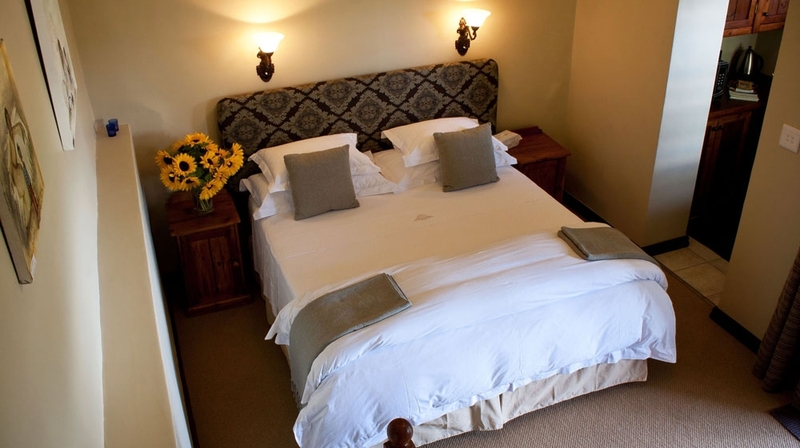 Surrounded by rolling fields and the majestic Langeberg Mountain range, this wonderful country house is the ideal romantic getaway for guests looking for pure relaxation. The grounds alongside the beautifully restored manor house contain manicured lawns, secret woodland glades, a sparkling swimming pool, tranquil fountains and fragrant gardens. 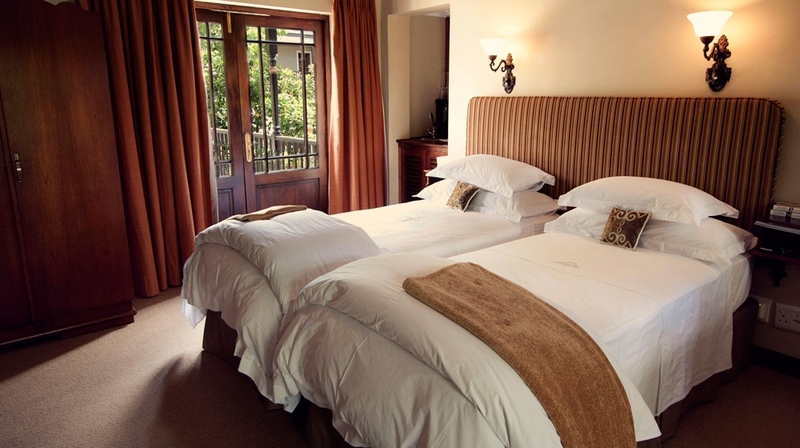 The emphasis at Schoone Oordt is on luxurious elegance, quality and acute attention to detail. 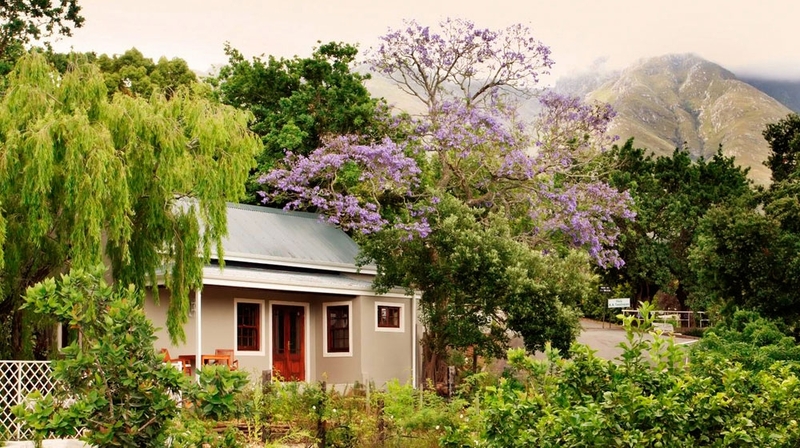 Eight newly built luxury guest cottages and a honeymoon cottage have been meticulously constructed to compliment the character and style of the main house and a larger family unit is still underway. 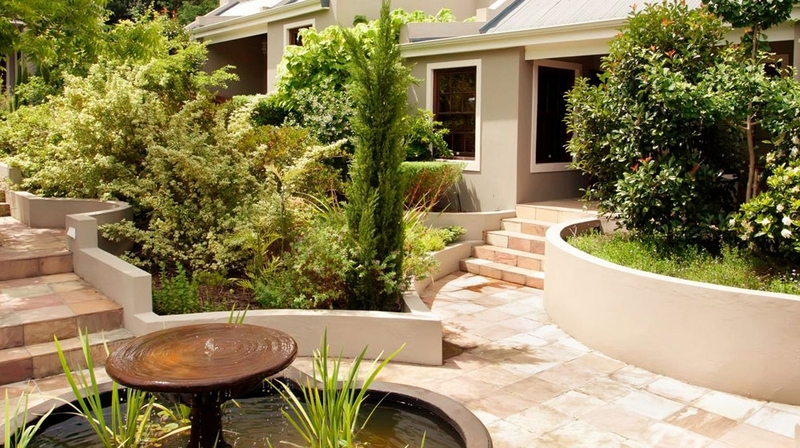 Luxury Suites: Positioned around bubbling fountains and a fragrant rose garden are eight luxurious suites, each with their own separate entrance. 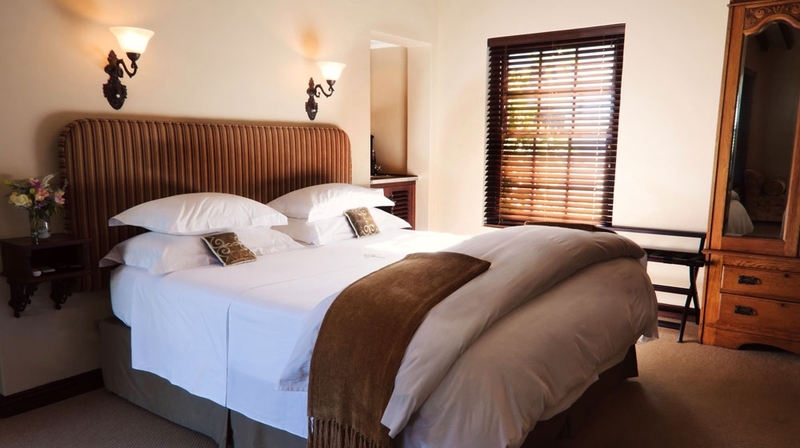 After a long day�s drive, have an afternoon nap on the custom-made 100% cotton percale and goose down bedding. 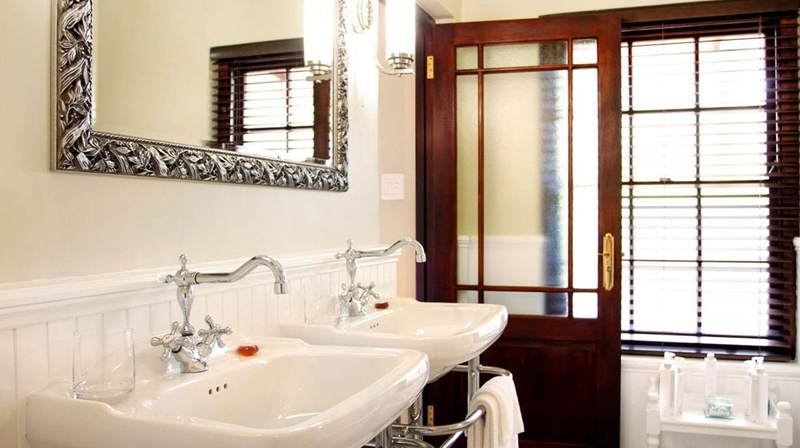 Step into the huge shower or take a soak in hot bath and listen to the country birdsong just outside the window. 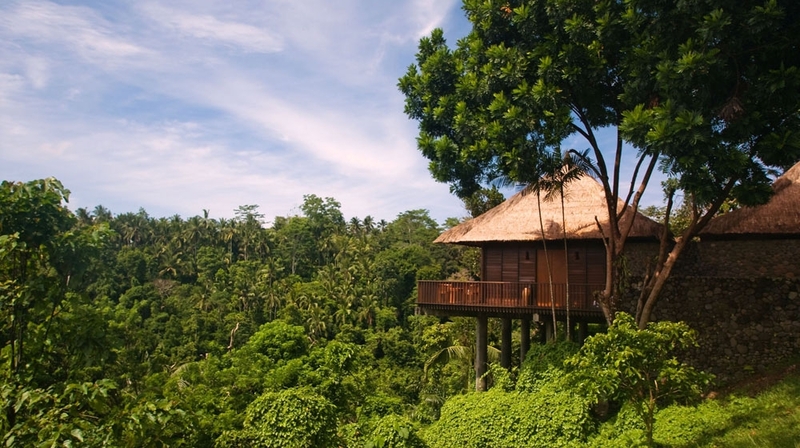 The Honeymoon Suite: Tucked away in a corner of the garden, lies the romantic honeymoon hideaway. Brush past the brightly flowering fuchsia�s onto the secluded patio and open the French doors to a world of elegant sophistication. Relax into crisp custom-made 100% cotton percale linen and goose down bedding adorning the ornately carved four-poster bed and forget about the world outside. Step into the oversized shower or sink into a beautiful Victorian ball and claw bath while the day�s journey slips off you in a froth of delicate "rain" bubbles. Wrap yourself in one of the fluffy embroidered gowns and feel the extravagance of a heated bathroom floor. Relax in your own small private lounge surrounded by fabulous antiques. Help yourself to a cup of tea or coffee and if it�s chilly outside stoke up the fire and jump back into bed. 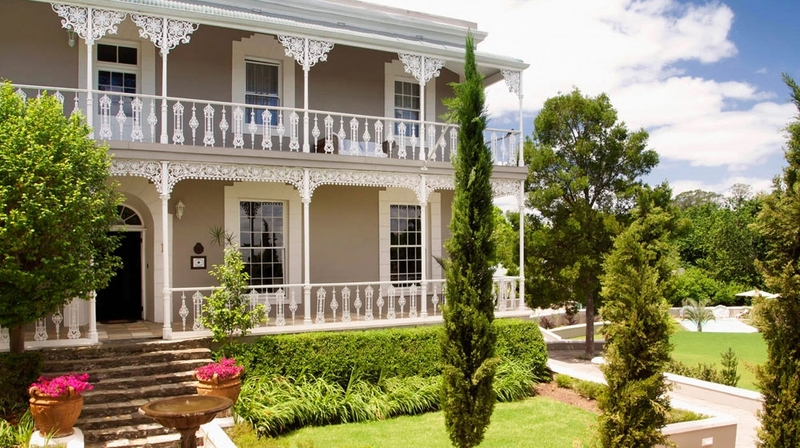 Schoone Oordt�s ample grounds, house all you require for a totally relaxing, exclusive and luxurious escape echoing the beautiful mansion�s grand and slightly eccentric past. On a cold winter�s night warm yourself with a hot drink by the fire. 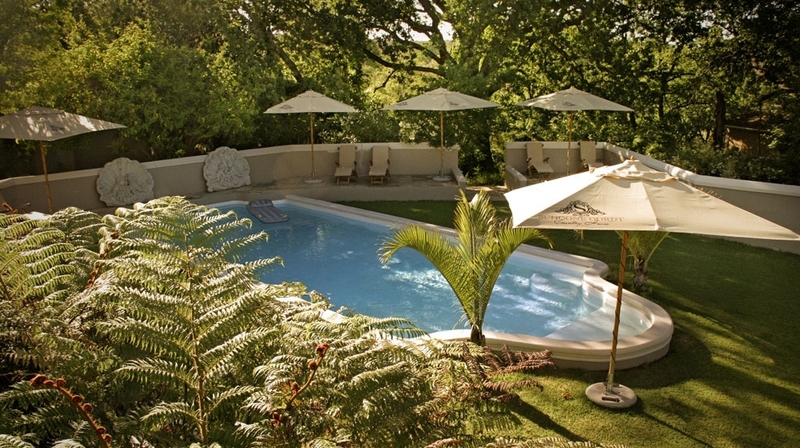 On hot summer day�s slip into the cool saltwater swimming pool, or lounge in the shaded deckchairs and wait for the next round of drinks to be served. Airport transfers and day trips can be arranged as well as suggestions for eating out, exploring the area, on-site pampering or ideas for just relaxing and whiling away the time. 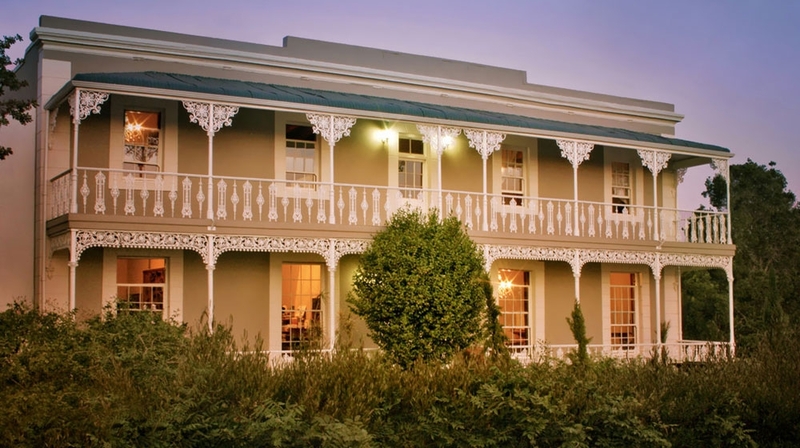 Schoone Oordt Country House is a perfect venue for weddings, birthday parties and corporate functions, in fact any kind of celebration. The roomy conservatory comfortably seats 60 people, the grand indoor banquet room seats 20 guests and the garden has a purpose built grassy arena for larger functions. Each celebration can be tailor-made to suit the individual and Alison is more than happy to assist with all planning and creating! Breakfasts are extensive, delicious and served in the newly added light and sunny conservatory overlooking the lawn and gardens. Lunches and Dinners are by arrangement only. 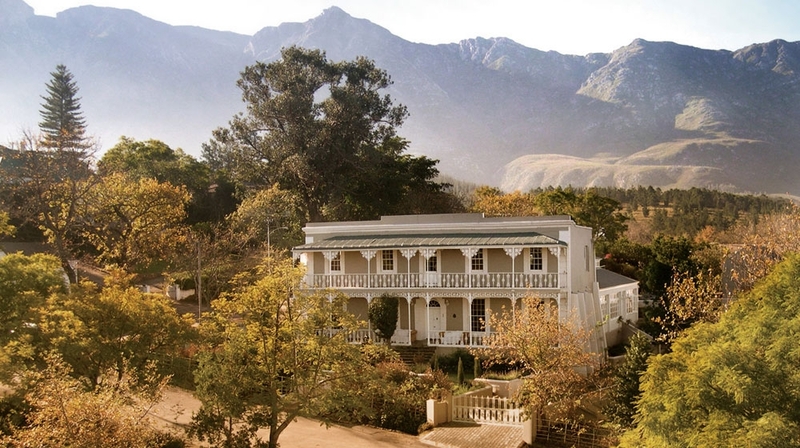 By Plane: The nearest airport is Cape Town which is 22km from the hotel.